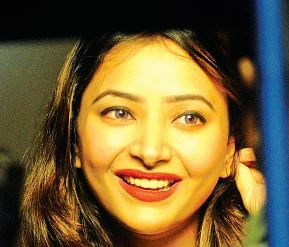 Actress Shweta Basu Prasad seems to have put all controversies to rest and is gearing up for the next chapter in her life. The actress however, revealed that she has no manager as has been earlier reported and has dismissed reports about several offers coming her way through a manager. “There are a few offers but nobody has officially approached me. I have been reading reports of several offers coming my way, and I must clarify that I do not have a manager,” said Shweta at a promotional event for upcoming film Intelligent Idiots, in which she features in an item song. “Vishnu Manchu called me recently and there are talks of a doing a film but nothing is official yet so I cannot comment any further,” Shweta informed. The actress was mired in a controversy earlier this year when she was caught in an alleged prostitution racket. She subsequently spent two months in a rehabilitation centre before she was released after a local court acquitted her of all charges last month. The controversy seems to now be a distant memory for Shweta, who is currently focusing on films. “I don’t want to talk about the issue. I won’t call it a mistake and don’t appreciate people using such vocabulary,” said an irked Shweta, when a reporter asked her if she regrets her ‘mistake’. The actress, who features in an item song in the upcoming film Intelligent Idiots, says she does not like to limit herself as an actress and would work in any role which she finds compelling. “A lot of established actresses in mainstream cinema are doing special songs and cameos, so there’s nothing wrong with that. As an artist you cannot limit yourself and every role is important, irrespective of whether it’s a lead role or a cameo,” she observed.